RocCity Coalition is a collection of people from various facets of the community whom are connecting with one another to achieve a stronger Rochester. 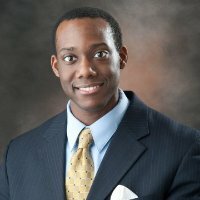 Jonathan Nwagbaraocha is a transplant who works at Xerox and is president of YP NeXus, the company’s young professional group, which is one of RocCity Coalition’s member organizations. YP NeXus is one of Xerox’s caucus groups; others include the National Black Employee Association, Hispanic Association for Professional Advancement, Asians Coming Together, The Women’s Alliance, Black Women’s Leadership Council, GALAXe Pride at Work, and Veteran Service Members Association. With YP NeXus, Xerox does more than promote volunteerism among its young professionals. Jonathan explained that YP NeXus is not only a way to get involved with projects that benefit the community but gives members a direct link to senior management, the creative space to plan events, and a launchpad for outside volunteer interests. What got you involved in YP NeXus? What sort of group is NeXus within Xerox’s culture? We want to make sure Xerox retains young professionals, so we have YP NeXus. We’re only one caucus group. Corporate culture is encouraging of diversity. There’s the black women’s association, GALAXe, a hispanic caucus, and more. When you’re a member of a community it’s not just about you or your family but the larger family as well. One thing that shines through whenever the caucus presidents meet is that we want to understand one another because we’re all part of the same community. We ask, “How can I be a better advocate for you?” I’ve been able to speak with senior executives I wouldn’t have been able to speak with otherwise. One thing that shines through is you sit at the table and no corporate champion is unapproachable. What is your takeaway from your direct line of communication with senior management? I think you have to assess what your values are as a company. Beyond making money, what are our corporate values? That’s where you start. Some companies haven’t done that and are willfully ignorant about what values they should have to be a company you want to work for – or they just sound good on paper. I haven’t come across an organization that gives that level of support. Before Jeff Jacobson started as CEO he met with some of us. The caucus groups meet with high senior executives in the company. They want us to be engaged. Jeff Jacobson even offered me a ride between buildings on campus. At Xerox, there’s a from-the-top commitment to being a good citizen. There is a foundation of diversity and inclusion that predates the caucus groups. Joseph C. Wilson set the ball rolling that the company thinks about the community. We did a round table recently with the CEO, who wants to hear from young professionals. We have regular diversity trainings. Our next topic is unconscious bias. What is the role of volunteerism in YP NeXus? Part of what I love about my role as president is encouraging people to volunteer. We’re always trying to reach out to other young professional groups in the city. We want to encourage members to go to events in the community, whether or not we organize them. Maybe you don’t want to be president but if there’s something you want to do and invite other people, do it. As a partner with RocCity Coalition, I let members know about those events. Each November we have YP NeXus Random Act of Kindness Week. This year we will make Disney countdown calendars for Make-a-Wish Foundation children, put together paracord ropes for deployed soldiers through Operation Gratitude, and make fleece blankets to warm hospitalized children of Project Linus. Is Rochester’s NeXus group an example for other chapters? The Rochester chapter is the flagship NeXus chapter. For years we have participated in United Way’s Day of Caring. We have the support of HR and management to be released from work to volunteer. Everyone gets excited. This year the Rochester chapter volunteered with the Genesee Land Trust to spring clean the El Camino Trail in downtown Rochester. In Rochester this has been going on for years but we did it nationally for the first time this year. What was going on when we reached out to the Norwalk, CT and Wilsonville, OR chapters was that they weren’t going out in the community. Now we’re making that national. They’re talking to the United Way in their areas and making it happen. What else excites you about YP NeXus? We’re all kind of mentoring each other. We mentor to encourage translating eagerness to help into action. Part of the key in taking energy into action is to look at “what do we want to achieve” and then say “this is how we’re going to do it.” If there’s a good idea, we talk about it and then agree to do it. As YP NeXus grows we want to make sure we are setting good groundwork for future actions [by other chapters]. The Rochester chapter is the largest chapter. Other cities have young professionals doing great things but haven’t been made official chapters yet. What led you to Rochester? I graduated from law school and spent time in Baltimore representing families with lead-poisoned kids. That took me to DC, consulting multinationals on environmental compliance. That job took me to Belgium, and then I got the opportunity at Xerox. My wife and I were looking for new opportunities on the east or west coasts. I didn’t know when I applied the Xerox job was in Rochester.I was pleasantly surprised by Rochester. I didn’t have low expectations but I only knew RIT, and it’s a little different. The city has a lot of charm. My wife and I love city living. We lived in the East Ave area and recently moved to the South Wedge. Outside of work, what keeps you in Rochester? My wife and I have found it’s very easy to get involved in things. It’s an affordable city. Every time my in-laws visit they are amazed. You’d think a city this size wouldn’t have much, but they’re always finding something new to do when they come here. It’s very easy to get involved in different organizations here. The resources are there and it’s an easy city not just to live in but to get involved in. What’s your best advice for other young professionals, wherever they may work? Don’t feel afraid to get involved. You don’t have to have a leadership role if you don’t want to. Just get involved and plan something. For me it started with YP NeXus. I was new to the area and wanted to meet other young professionals. Then I looked at other opportunities and also became involved with Pillars of Hope. Getting involved is the key. © 2017 RocCity Coalition. All Rights Reserved. Designed and developed by Mason Digital.